The general trend may be for waistlines and healthcare costs to go up, but the stats don't have to apply to you! Jettison your outdated ideas and prepare for a better future with these progressive approaches to health. Throughout most of the 19th century, doctors worldwide operated under the conviction that they could tell everything they needed to know about any patient's personality by measuring his or her skull. Somewhere during the same time period, heroin was invented and marketed as a non-addictive substitute for morphine. Crazy, right? A century or more down the line, sure, these ideas are absurd. But the truth is that many of us plan our days, and our diets, around ideas that modern science has thoroughly discredited. Not that far down the line, our great, great grandchildren will be rolling their eyes at us. Want to see what sacred cows you need to put out to pasture? 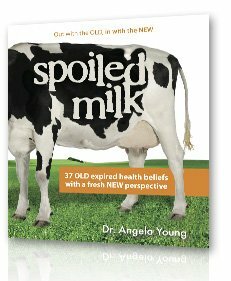 Let out-of-date "facts" sink to the bottom, and skim the truth off the top with these health and wellness tips adapted from Dr. Angela Young's new book Spoiled Milk: 37 Old Expired Health Beliefs With A Fresh New Perspective. It turns out genetics don't determine everything. More often than not they just set probabilities. Making unhealthy dietary and fitness choices can cause your body to "turn on" autoimmune markers that make you express symptoms. Avoid this by sleeping for at least 6-8 hours per night, soaking in sunlight for 20 minutes per day sans sunscreen, staying active, monitoring the negativity pipeline, eating fruits and vegetables, getting adequate hydration, and limiting your exposure to chemicals like cleaning products, alcohol, drugs, smoke, air fresheners, and sprays. When drugs decrease blood glucose and lipid levels, they simply mask the problem. 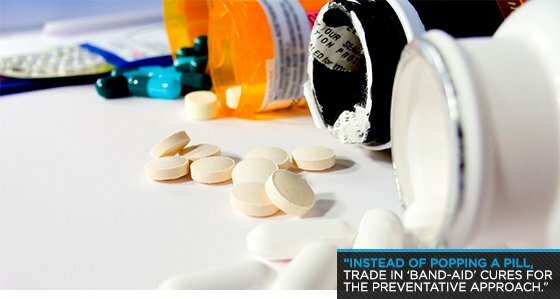 Instead of popping a pill, trade in "Band-Aid" cures for the preventative approach. Acknowledge your symptoms and pains as intelligent signals instead of something to be silenced and determine the underlying cause. Fat has a bad reputation, but when fats are taken out of your diet carbs usually replace them—resulting in a blood sugar and insulin spike, minus the satiated feeling. Not all fats are bad. In fact, some are essential. Many vegetables have fat-soluble nutrients better absorbed when eaten with fat. A high level of Omega-3 fatty acid is also essential for decreasing inflammation linked to cancer, arthritis, heart disease, and chronic pain. Just beware of the "no trans fats" label—some products still sneak in 0.5 percent per serving—and cut back on light, non-fat, and low-fat substitutes that have added sugar and processed fake fat. Gluten-free products may be marginally healthier, particularly if you're sensitive to this common protein, but they're not necessarily good for you. They may still contain sugar and margarine and are often enhanced with extra sweeteners or fats. Get rid of grains and packaged gluten-free foods. Substitute raw zucchini pasta and spaghetti squash for gluten-free noodles, and focus on natural sweeteners like honey, maple syrup, and dates. "Got Milk?" isn't the same as "Got Strong Bones?" Calcium is part of bone health, but it's not the only component. In fact, high dairy consumption may not reduce risk of bone fractures and a heavy dairy intake could contribute to prostate and ovarian cancers. Strong bones are made by multifactoral approach, and vitamins A, C, D, B12, K, magnesium, and phosphorous are essential components. 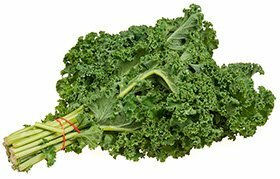 Leafy green vegetables like mustard greens, kale, and chard can be a good source of calcium—one cup of cooked collard greens contains approximately 357 mg of calcium, plus an added shot of potassium. When choosing dairy, go for raw and fermented full-fat cheese, kefir, and yogurt that have partially digested lactose and the benefits of probiotics. In addition to being the earth's primary source of energy, the sun causes the body to produce vitamin D, a key hormone for bone health. Vitamin D helps the body absorb calcium, control inflammation, and activate the immune system. It also assists in the prevention of numerous forms of cancer, especially breast, colorectal, ovary, and kidney. Slathering on the sunscreen prevents vitamin absorption and leaves you exposed to toxic ingredients such as oxybenzone, nano-scale zinc oxide, avobenzone, and benzophenone. Instead of baking in the sun for hours or using a tanning bed, fair-skinned people should sit in 10-15 minutes of direct sunlight per day with no sunscreen, while darker individuals should sun for somewhere up to 60 minutes per day. The flu vaccine is basically a mixture of three viruses research indicates will likely be present next flu season. It's a guess. With a 59 percent success rate in flu prevention, it's not your best line of defense. Prevent the flu by keeping your immune system healthy, washing your hands, getting plenty of rest, water, and sunlight, heaping on 2-3 servings of fresh veggies at every meal, being active daily, and decreasing your stress load. Staying hydrated is essential to mental clarity, fullness, and a healthy digestive tract. But the debate between tap water, bottled water, and filtered water is a toss-up. The Safe Drinking Water Act only regulates 91 contaminants in tap water, and studies have shown that bottled water could be worse for you than filtered. 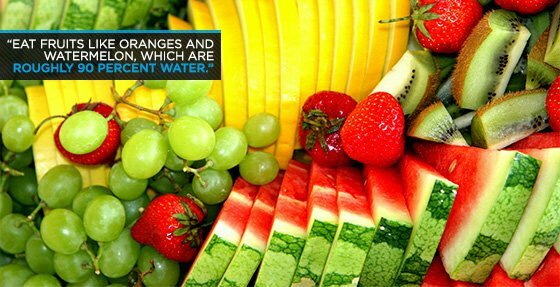 Eat fruits like oranges and watermelon, which are roughly 90 percent water, and drink home-filtered water throughout the day. When you do, remember to sip. Drinking eight glasses back-to-back will dilute digestive enzymes and secretions, leaving food nutrients poorly extracted. 9 / Think Lifestyle, Not "Diet"
The projected 2023 costs for chronic disease are $4.1 trillion, and 7 out of 10 U.S. deaths are currently caused by chronic disease linked to lifestyle choices. Redirect your spending. While the initial costs for quality food, water, less-toxic cleaning supplies, natural skin and body care, and a gym membership may be steep, prevention of health problems is more cost effective than treating a disease once it's progressed. Most insurance companies only pay for services after you become sick, and a 10-minute doctor visit or a drug referral won't address the real cause of your symptoms. Don't depend on health screenings to prevent disease. Be proactive and enhance your health through daily choices. Add a fresh fruit or vegetable before every meal, add 30 seconds of deep breathing to your daily routine, and walk around and stretch every hour. Dr. Angela Young is passionate about helping her clients and the Bodybuilding.com community to become well and stay well.